MEMPHIS, TN – The Southern Christian Leadership Conference survived decades of internal discord and instability after its founding in 1957, when Dr. Martin Luther King Jr., SCLC’s first president, began leading the organization through the tumultuous civil rights movement. 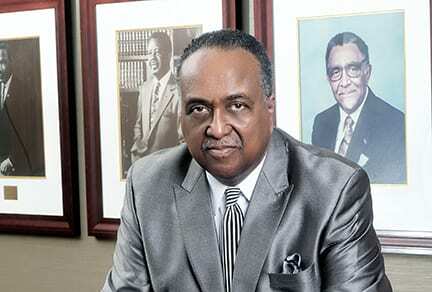 Steele will be in Memphis July 20-23 when SCLC convenes its 59th convention at the historic Peabody Hotel. The theme: “The Hour is Now to: Believe, Empower, Act.” The issues: poverty, injustice, economic inequality, police brutality, and others. There have been highs and lows over the course of SCLC’s existence. The organization, however, is still relevant, said Steele, recalling a conversation he once had with Mikhail Gorbachev, former president of the Soviet Union before its collapse. Gorbachev’s sentiments were embodied in the hopes and aspirations of African Americans past and present who’re still searching for the elusive dream. Steele said other world leaders likewise understand the black experience and the travails of black life in America. Steele has traveled all over the world. He’s visited five continents and countless countries, including Moscow, Russia; Berlin, Germany; Jerusalem, Israel; Rome, Italy; and many countries in Africa. Steele has taken SCLC to new heights. In 2006, he raised $3.3 million (and more than $10 million altogether in first five years at the helm) to build an international headquarters for SCLC in Atlanta. The slogan, “New Day…New Way,” signified that a change had come. He predicts, for example, a sobering decline in black banks and financial institutions within the next 15 to 20 years. “Something is wrong with that,” said Steele, adding that the problem is systemic. “In the last 8 to 9 years, we have lost 52 to 53 percent of our black wealth. It will take two generations for us to get it back,” Steele said. He pointed out that 52 to 53 percent of homes in the black community were lost through Wall Street and the banking industry.